Our entire menu is available for delivery anywhere within the blue area on the map below. $10 minimum purchase, please. We are a Cash Only establishment. 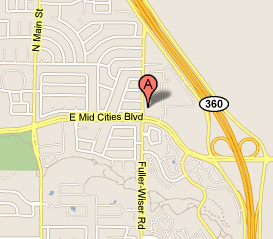 We're at the intersection of Mid Cities Blvd. in The Villages of Bear Creek. © Lizzano's Pizza. All rights reserved.